Senior Vice President of Advertising and co-founder of Blue Buffalo, Chris has spent the last 13 years making commercials and growing Blue Buffalo brands. His passion includes spending time with his 3 boys, golden retriever, Daisy and wife, Kim. 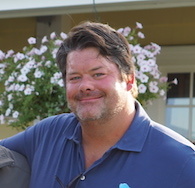 Chris is a member of the Blue Buffalo Foundation Board of Directors and Chairman of the Events Committee. Prior to Blue Buffalo, Chris worked at SoBe Beverages, where he was the Director of Event Marketing working with SoBe Sponsored athletes at sporting events across the country. He earned his degree in Public Relations from West Virginia Wesleyan. A very proud American, Chris is honored to be on the board of director of Sierra Delta and looks to be as helpful as possible.